We are so excited to be able to perform on May 19th at this wonderful event. We are schedule to perform on Saturday May 19, 2018. Stay tuned for where to park – Free shuttle service! 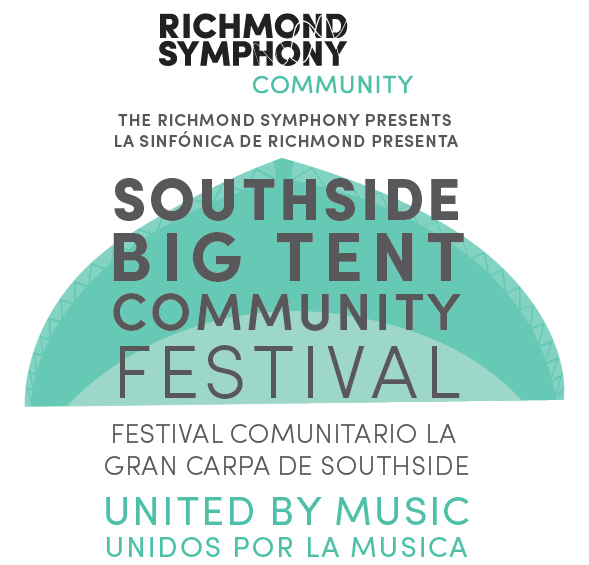 Friday, May 18, 2018 from 5:00 – 7:30PM: Enjoy a special Richmond Symphony Evening Performance under the Big Tent with world-renowned Latin dance band, Bio Ritmo! Saturday, May 19, 2018 from 12:30 – 7:30PM: Join us for a Family Day including performances by: Richmond Public Schools and Legacy Band, culminating with a Dance Party with DJ Missing! Other activities are still in the works but are likely to include a skateboard competition in the skate park, a community art gallery showcasing work from local students and schools, and a Kid’s Zone you won’t want to miss! Latin Ballet is celebrating Black History Month with the most influential and inspiring dancers and choreographers. These are their stories of the challenges they overcame throughout history. These are their stories of success and their rise to legendary status. Every week this month we will present African-Americans who persevered and diligently fought for their right to dance on the stages of the world and showed the world that race has no place in the arts...or anywhere else for that matter. These individuals are the inspiration for so many of our modern day dances and the reason that African/Caribbean dance was brought America. We commend these amazing talents. She was the first black ballerina to be accepted into a major classical ballet company. She faced horrific racism and danger while she danced, but triumphed as a pioneer of dance. The first black prima ballerina who danced for the Metropolitan Opera in 1951. She became a teacher, a choreographer, and always a dancer. Because of her great passion for dance, Janet broke the color barriers of history. A Richmond, VA native, Mr. Bojangles could often be seen next to Miss Shirley Temple and was the highest paid African-American entertainer in his time. He would bring musicality to tap that no one had seen before using stairs as his medium. Miss Primus brought African dance to the American Audience. As an anthropologist, dancer and choreographer, Primus brought the spirituality of African dance to the stage. She was impactful in her use of literature, poetry and traditions in dance. Known as the "Queen of Jazz", Florence Mills, was a successful Vaudeville dancer and singer. She played a part in the very first all black Broadway show, "Dixie to Broadway". Her dancing was infectious and it was said that the Prince of Wales could be seen tapping his feet when she took the stage. She died of medical complications at the young age of 31. Catherine Dunham brought her worldly dance experience to stage and film. She brought dance education to low income and high risk youths in St. Louis. She incorporated African and Caribbean movements into contemporary dance creating her own unique technique. She was also the first to form an all black dance company bringing ritualistic dance to American audiences. Known as "Cultural Ambassador to the World", Mr Ailey was a choreographer and activist who founded the Alvin Ailey American Dance Theater in New York City. His work revolutionized modern dance and it's popularity in concert dance performance. The "Queen of Swing, Norma Miller was discovered at the age of 12. She would later go on as the creator of the Lindy Hop. She's known for her comedic performances and her acrobatic dancing. She's still dancing at 97 years old and has worked with such great Jazz legends as Ella Fitzgerald, Count Basie and Duke Ellington. Titled with such monikers as "Black Venus," "Black Pearl" and "Creole Goddess", Josephine Baker is a legendary dancer, singer and actress. She was provocative and humorous and left her mark on the world of dance for her bold performances. She was world renown with great popularity for her work on the stages of Paris. She fought segregation through organizations like the National Association for the Advancement of Colored People (NAACP) and inspired the liberation of many women!